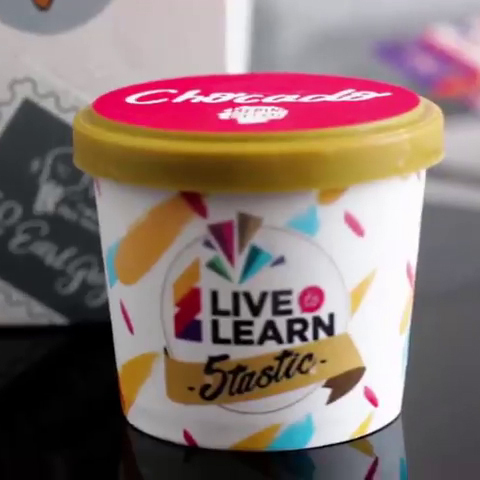 What are their success stories with L2L? I prepared for SAT elsewhere and got 9 for the essay. BUT, NTU and NUS tests are so different from the SAT test. L2L has helped me to work on my essay techniques and interview skills thoroughly: from using advanced vocabulary to conveying my ideas clearly. L2L is an undoubtedly utopian English course. 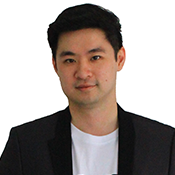 As my mentor, Ce Felly, always made me practice frequently for the UEE exams to make me not only able to do the test, but also become impeccable in the exam. Thus, Ce Felly taught me about the lessons of life specifically such that I needed to be hard working and resilient so that my dreams could be achieved. 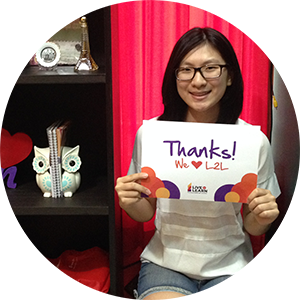 In conclusion, studying at L2L is not a waste of time or money since it will help us improve academically and mentally. (somehow it is about Choppy, the dog 🐶) I think my most memorable moment goes to my first session at L2L. It was normal at the first until when choppy --L2L's mascot, came to the class. 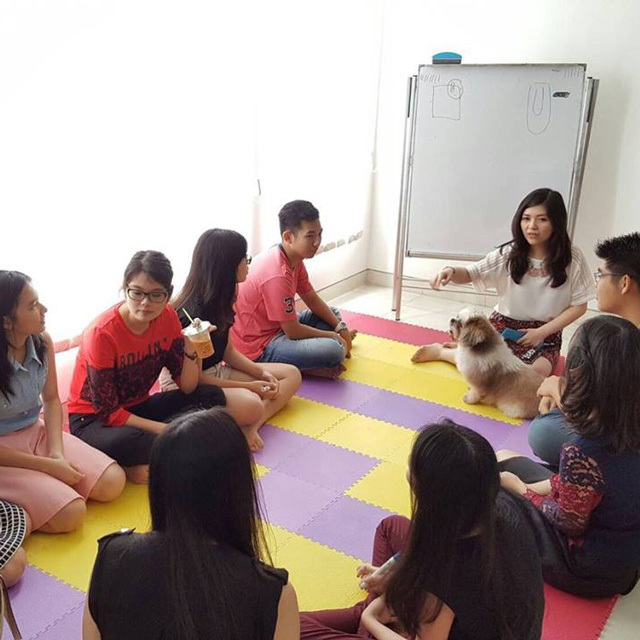 I was a doggyphobic (dont know if this word even exist), so when choopy entered the class, I was terribly terrified and I even raised my legs to avoid it. However, I was told to interact with choppy and because of that, not only have I absorbed pivotal knowledge during my stay at L2L, but also cured my dog-phobia. 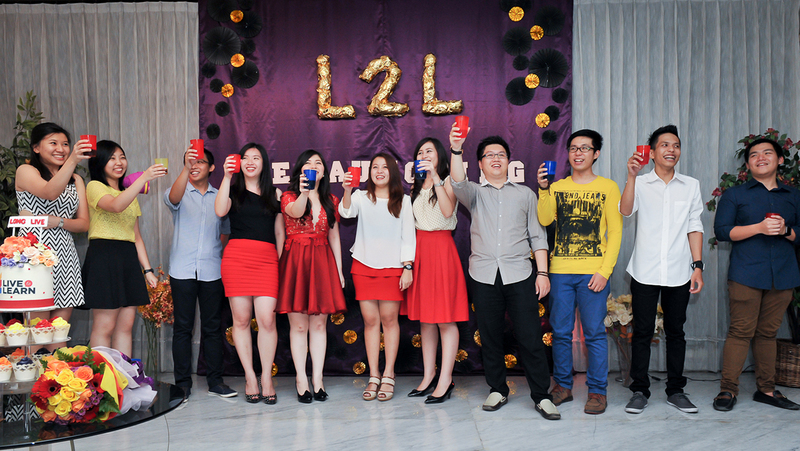 Thanks L2L for everything! 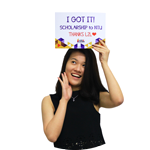 I couldn't believe that I got a full scholarship from NUS. Writing was my main problem to tackle ( I took SAT at another course but only got 5 our of 9 for it, so I knew that writing was my nightmare!) So, I was a little shocked when I had to do my first essay at L2L because it was so difficult. It was completely different from SAT or any other tests that I had taken before. In our lessons until the day before the NUS exam, Ce Felly had kept helping me with some valuable tips to do the essay easily. 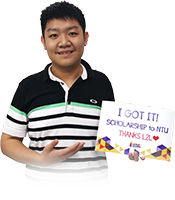 As a result, I have been offered to continue my study at NTU and NUS (FULL SCHOLARSHIP). God is so good. 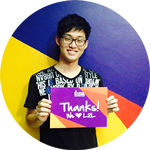 Thank you, Ce Felly and L2L. ❤️ . Last year, I had a very low self esteem with my vocabulary and writing skills. I thought that my writing would be amazing by using difficult vocab and long sentences, but I was wrong. Trying to 'mix and match' those complex components had always hurt my head, but I didn't give up. I listened to Ce Felly's explanation over and over again until I understood what she meant by 'a good essay'. (I even recorded her explanation and replayed it at home! 😋) . I kept trying by writing a million essays from her until one day, I could write proper essays! 💪🏻🙏🏻 Overall, hard work will never betray you. 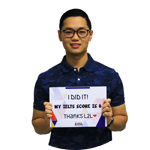 Thank to L2L and my classmates, it is all paid off! Do you believe in destiny? Fate perhaps? I believe them, and I believe that my meeting with L2L is a marvelous experience. Every single moment is a jewel in its own right. Every laughter, every cry, every homework, every stress, all are the best moments in my 3rd year of high school. All of those experiences are my last stepping stone into adulthood. From the first session where there were only 2 of us, the sudden appearance of a girl, the entrance of a veteran from another class, until the merger of two classes into one - each has brightened my life, more than 1000x. 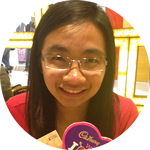 Now, about my most memorable moment in L2L, sorry to disappoint you readers, they ALL are memorable. If the reader wants to know one specific moment, sorry to disappoint. You readers need to join in to know what I am writing about. 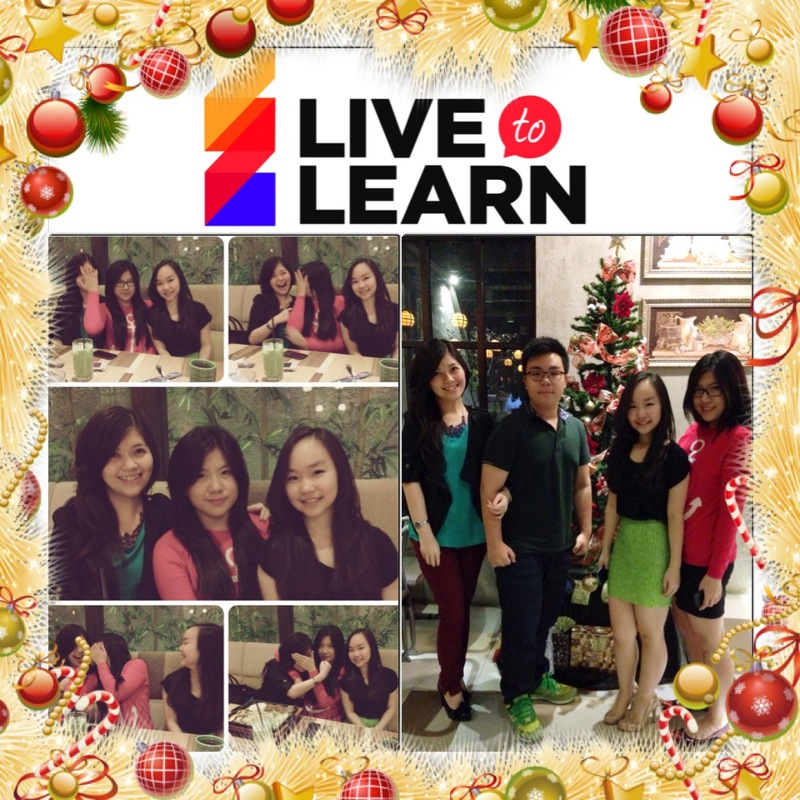 L2L does not teach you what to learn, they teach you how to learn AND live your life to the fullest. 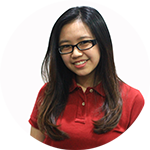 In L2L, every aspect of my English was improved to my full potential, especially my writing skills. WELCOME TO LIVE TO LEARN. 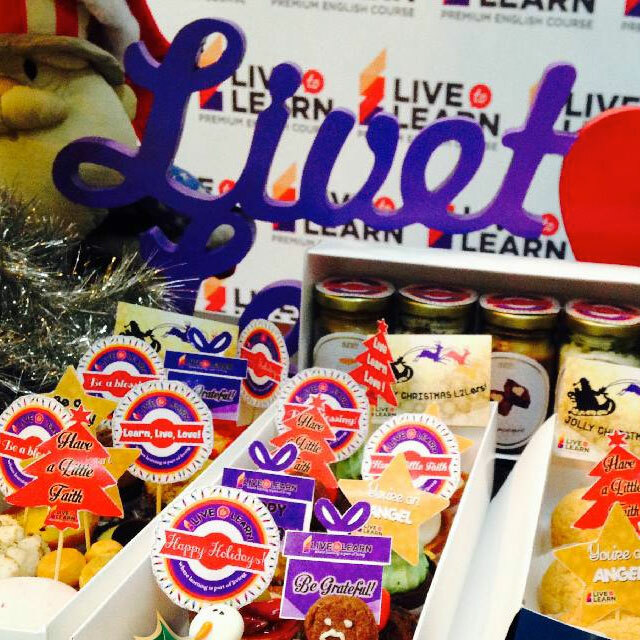 Live to Learn (L2L) Premium English Course was founded in 2012 by Fellysia, who graduated from University of Manchester, United Kingdom. 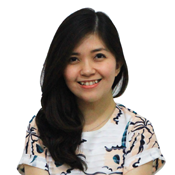 With the vision of “Empowering visionary characters and excellent communicators through language education”, she initiated an English course with premium quality. 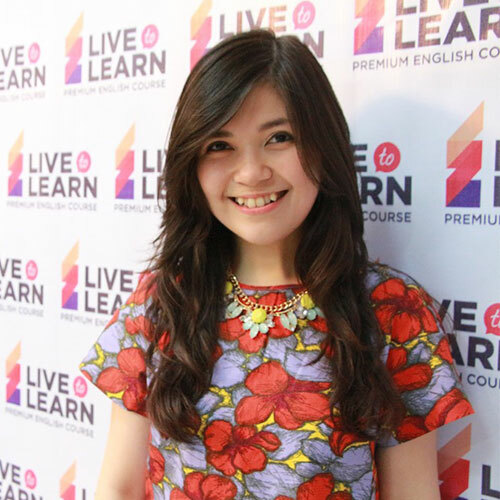 Through her finely honed skills, broad knowledge, and remarkable leadership, Fellysia expanded Live to Learn (L2L) Premium English Course from having its main office at San Antonio N1-155 Surabaya. 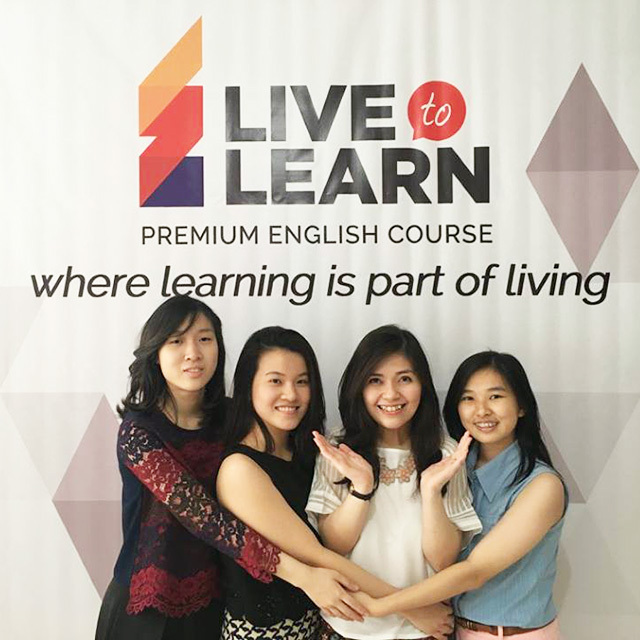 Live to Learn (L2L) Premium English Course was established as a premium quality English course, with quality language education as our main focus. We believe that education is not merely a trivial matter, but it is a part of living. Collaboration : We believe that through the spirit of collaboration, we can achieve greater to support our learners’ progress and holistic development. As such, we create a dialectical relationship in the classroom and we give constant feedback to learners. Accessibility : We aim to provide a language learning environment that is accessible to all who wish to better themselves to realise their dreams. We welcome every one from all walks of life to join in our learning community. Resilience : We are resilient in our endeavour to create visionaries with exceptional communication skills through our personalised educational programmes. Excellence : We maintain a standard of excellence in our services and we want to instill this standard in the lives of our students. We believe that being proficient in both written and spoken English is one of the demands in today’s global market economy. Therefore, to increase our learners’ academic achievement and employability, we strive to provide a learning experience of the highest quality. "True learning happens when teaching isn’t only about imparting knowledge, but it is also about creating human connection." 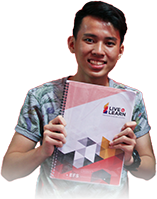 Every learner at L2L will be given a Learning Log to keep record of their learning journey and to boost their vocabulary. Each class consists of 2-4 students only. This 30 hours course prepares you for the newer version of the iBT, which is offered in most of the TOEFL centers worldwide. The score for TOEFL iBT test is on a scale from 0 to 120 points. The test comprises of 4 sections: Reading, Listening, Speaking, and Writing. We offer a wide range of TOEFL test preparation materials for students including test samples, practice tests, useful tips, and many more. The student can choose the frequency and length of the lesson accordingly. Fees may vary for each taken personalised programmeme. This version of TOEFL is still needed to enter some universities or companies. There are three different sections of TOEFL PBT which cover Listening, Structure, and Reading Comprehension. The total score for TOEFL PBT ranges from 310 to 677 for those three different sections. The student can choose the frequency and length of the lesson accordingly. Fees may vary for each taken personalised programme. 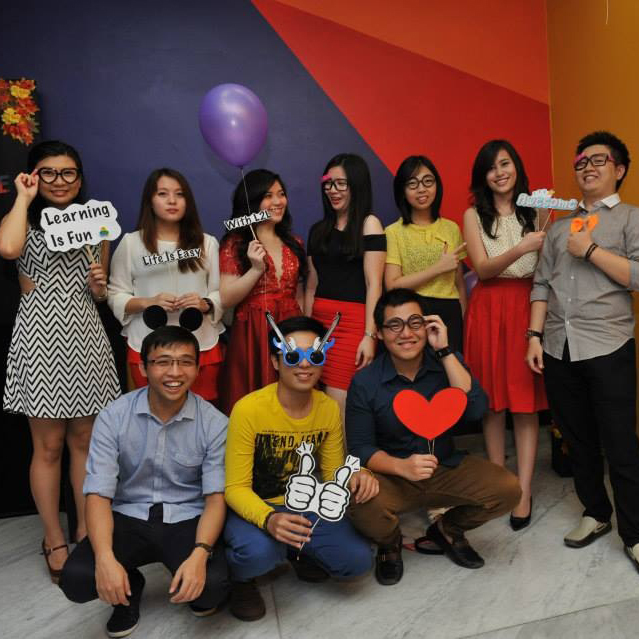 At L2L, we offer a well-tailored IELTS preparation programme to suit your needs. It is a widely recognized and highly standardized test of English language proficiency to prepare you for your higher education to study abroad. The Band Scale for your final result ranges from 0 - 9. First Certificate in English (FCE), also known as Cambridge English: First is an English language examination provided by Cambridge English Language Assessment (previously known as University of Cambridge ESOL Examinations). It is an upper-intermediate, international English language qualification that focuses on Level B2 of the Common European Framework of Reference for Languages (CEFR). Cambridge English: Advanced (CAE), also known as the Certificate in Advanced English (CAE), is an international English language examination developed by Cambridge English Language Assessment (previously known as University of Cambridge ESOL Examinations). It is targeted at Level C1 of the Common European Framework of Reference for Languages (CEFR) and can be used for study, work and immigration purposes. In Indonesia, the test of FCE and CAE are available only as a final level of course. In preparing for that, L2L Premium English Course offers you FCE and CAE preparation classes. -A complete diagnostic test at the beginning of the programme and a mock-up test at the end of the course. - Effective tips to excel in every section of the test. SAT (Scholastic Aptitude Test or Scholastic Assessment Test) is a standardized test used in the United States for college admissions. Now, SAT is not only used in United States but also widely used in several courses in Singapore (e.g. for Singapore Management University admissions). IB (International Baccalaureate)/ IGCSE (International General Certification of Secondary Education) are franchised curriculum from United Kingdom. In Indonesia, the IGCSE curriculum is used on students in the secondary level (grade 9 to 10) while IB is used on students in their pre-diploma level (grade 11-12). IB/IGCSE divides English into two levels which are First Language English (IB first language), and English as Second Language (IB second language). In each sectors there are several subjects of English such English Literature (IB Literature), Geography, etc. 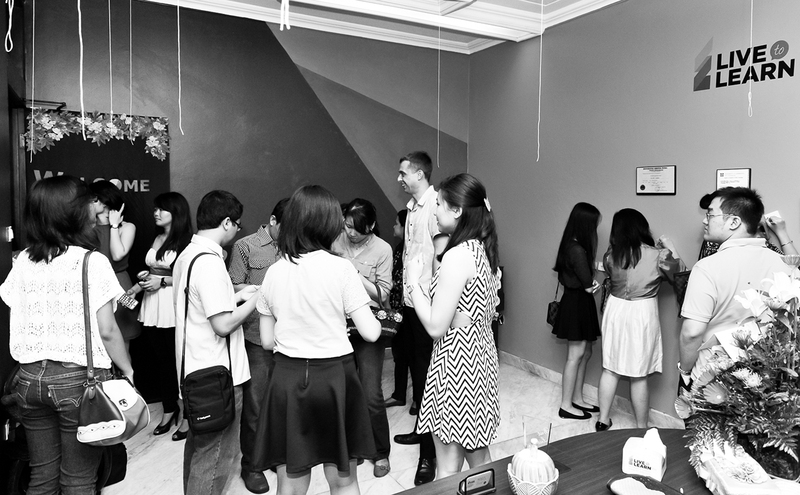 Our EFS module is catered for those who are aiming to pursue higher education overseas through SCHOLARSHIPS. The students will get the mastery of English language in all four areas, especially in Academic Essay Writing and Speaking whether it is for interviews, public speaking, presentation, etc. 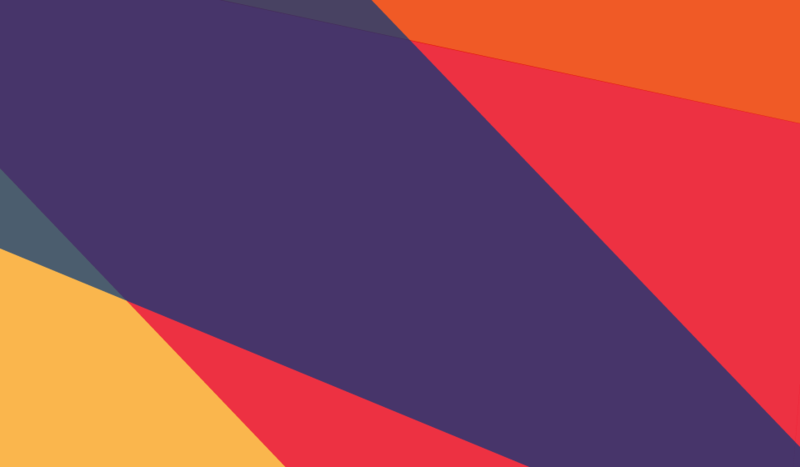 This module also covers the making of Personal Statement and CV (optional). - A complete diagnostic test at the beginning of the programme and a mock-up test at the end of the course. - Periodic practice tests to assess your progress. - Simulation of the real test and/or interviews. 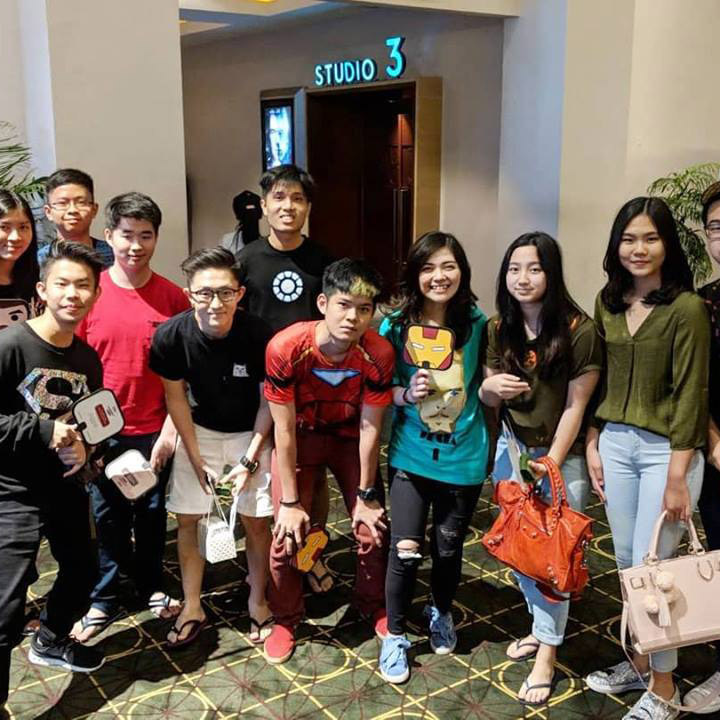 Our EOS class is designed to boost students’ performance and confidence level in the English-speaking classroom as a means to prepare them further for their overseas study. Our materials will cover both the PRODUCTIVE skills of English (speaking and writing) as well as RECEPTIVE skills of English (reading and listening). - Simulation of the real presentation, etc. - In-depth strategies to hone the writing/speaking skills. This 15 hours programme is made with the aim to strengthen the foundation of your English language before taking the TOEFL / IELTS / SAT classes. The acceptance of this class is based on the placement test result that was given in the beginning. Through this programme, you will be taught the basic in English with more details and exercises. You are advised to take this class first to prepare your skills and knowledge in English before taking the TOEFL/IELTS/SAT class which requires more advanced level of skills and knowledge. We believe that practice makes perfect. - A complete preparation test at the beginning of the programme and a mock-up test at the end of the course. - Coverage of each skill to hone and prepare you to the level of knowledge and skills required in IELTS/TOEFL/SAT class. Our General English classes are currently open for individuals of all levels. A placement test will be given to measure the skills and knowledge of each student and to construct an effective Personalised Learning Plan (PLP) for each student. With this PLP scheme, we hope that every student will get the best out of their course because the course will be relevant to their individual needs. The main focus of all PLPs is to address a student’s main problem area(s) and to strengthen their other skills. Hence, a significant progress can be achieved together at L2L. We offer both private and semi-private classes. - Variety of topics and subjects to enrich the vocabulary. - Variety of activities to make learning process enjoyable and fun. - Levels that are suited to children’ needs and capacities. - Mini projects at the end of every level. Besides offering classes to students, we also held teaching workshop and in-house corporate training programmemes as requested. Contact us for more details on the services we provide. We offer 1 on 1 private class for those who want more attention and focus in learning. This private class will create a more effective learning process through faster and broader learning. The Personalised Learning Plans (PLP) will be more effective as well because the teaching system can be directly adjusted to your needs. - Learning materials which are suited to students’ needs and capacities. - Periodic practice tests to assess student’s progress. - Two ways of communication which enhances student’s confidence. - More comprehensive to the student’s needs. "Students don’t care how much you know until they know how much you care." 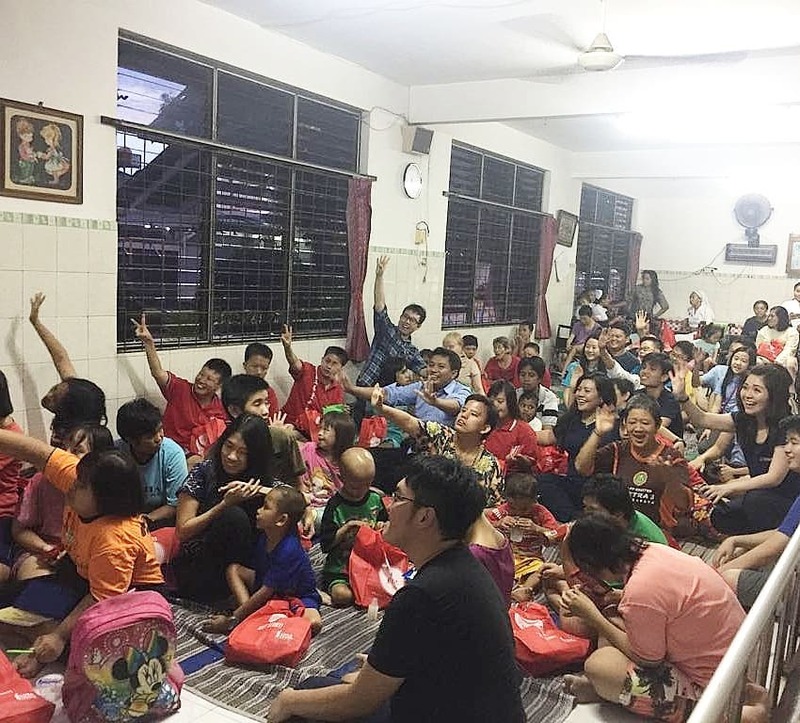 "True learning Happens when teaching is not just about imparting knowledge but it is also about Human connection"
"Mediocre Teachers plant knowledge, GREAT teachers grow A LOVE OF LEARNING"
70% of students who took our IELTS class have scored at least 7.5. 88% of students who took our English for Scholarship (EFS) class have successfully granted scholarships from reputable schools in Singapore. 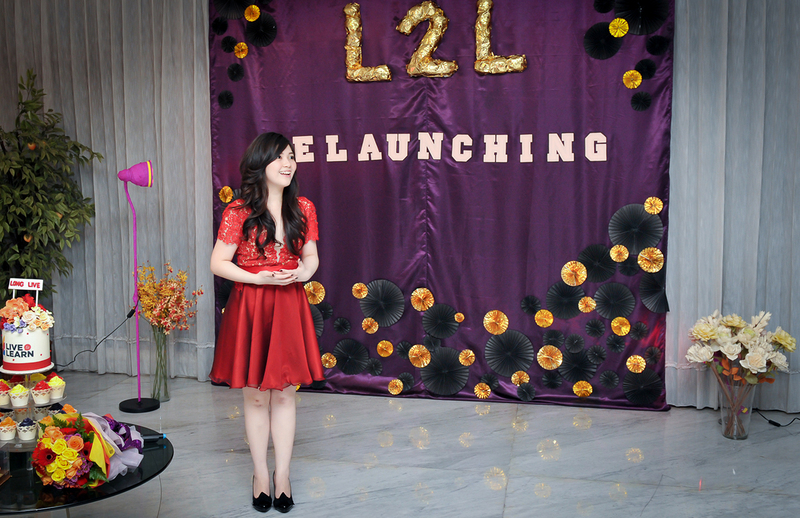 "L2L has exceeded all of my expectation. I was flabbergasted with the friendliness of the staff and especially the teacher since I had expected the sessions to be strict and boring. 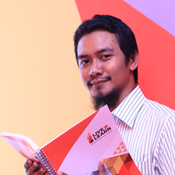 L2L encouraged me to do better without making me feel oppressed unlike other well-known English courses. My English capability grows exponentially and I couldn't be happier with my improvement. 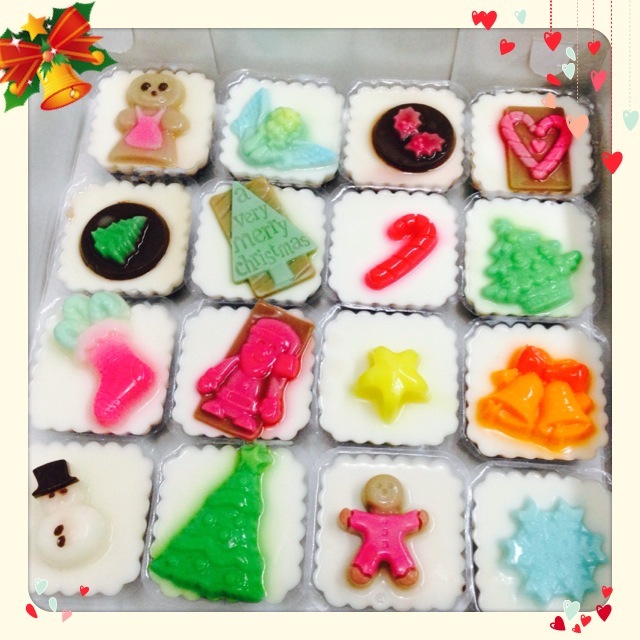 Thank you L2L, you're the best." "Lessons in L2L have been my greatest 'english hours', so far. Despite being pushed to my highest limits and drilled with excruciating practices, I enjoyed every second spent with the bubbly, lovely, and charming Ms. Felly. Not only is she deft in English, she also continuously supplies me with general knowledges (including make up tips haha) and HOTTEST GOSSIPS! Haha Love you Ce Fell!!!! Keep being awesome, stylish and pretty!!! Goodluck for L2L!!" Learning English in L2L is really fun. I learn not only how to speak proper English but also how to speak in a personal and formal manner in interviews. The sessions are also enjoyable and effective L2L has made me love English in a different way before. 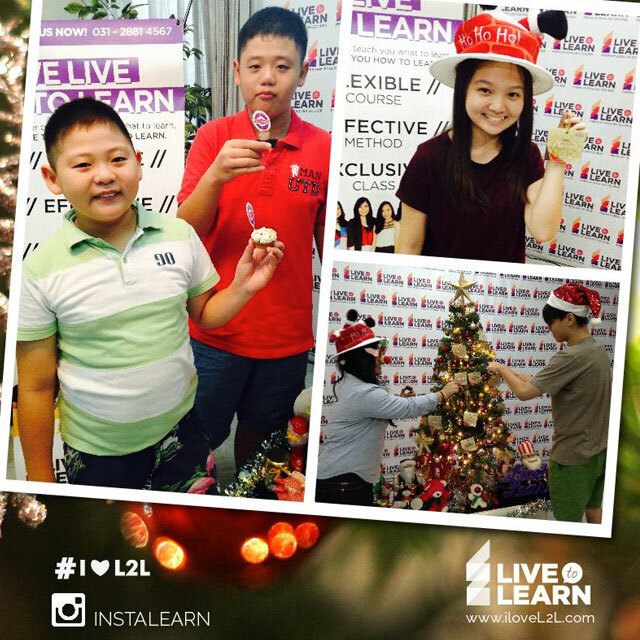 L2L is the only course where I can study up to 1 hour without even a slight feeling of boredom. I hated English before but now i can’t spend a day without studying English. 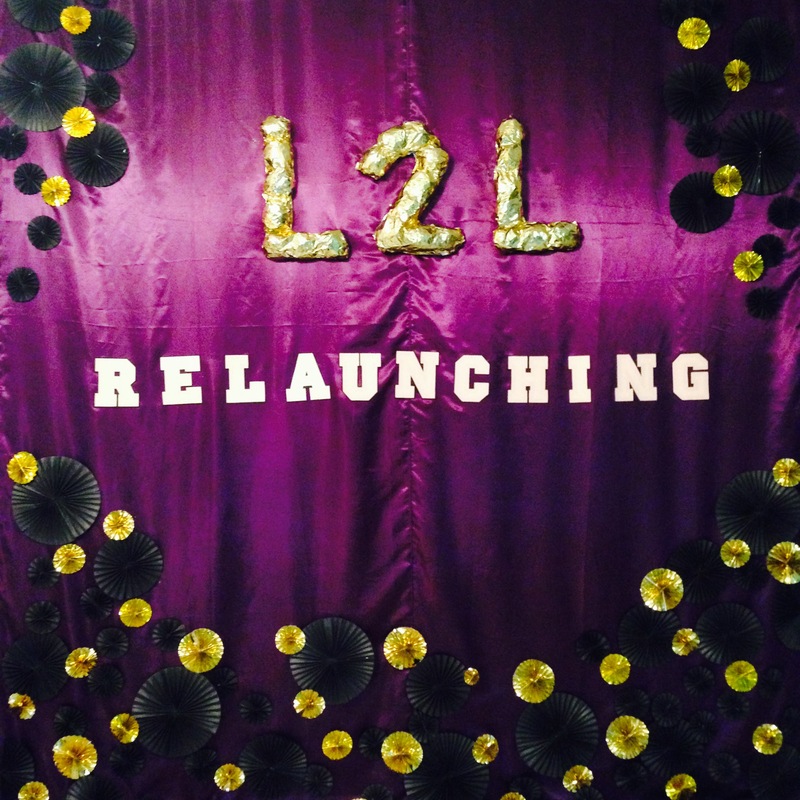 Good job L2L, keep thriving! It had been pleasure to learn and I'm glad that it could improve my score and achieve the goal that initially planned. My score has gradually increased and it was such a pleasing time that I learned a lot from our Sunday morning classes. 2016 © Live to Learn. Re-Developed by Ivan PS.